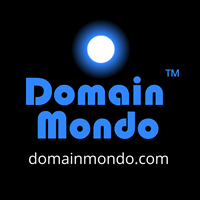 Domain Mondo's weekly internet domain news review (NR 2019-01-27 with analysis and opinion: Features • 1) IGF2019 Open Consultations & MAG Meeting Jan 28-30, 2) ICANN news: EPDP Meetings Jan 29 & 31, EPDP Recap, TSG and more, 3) Names, Domains & Trademarks: Expired Domains, and more, 4) ICYMI: China Blocks Bing, Google Struggles in Russia, 5) Most Read. Agenda of the IGF 2019 First Open Consultations and MAG Meeting​--Register (open thru Jan 30) for online participation. How could the IGF respond to the recommendations made by the UN Secretary-General António Guterres during his speech at the IGF 2018 Opening Ceremony? How could the IGF respond to French President Macron’s “call for action” made during his speech at the IGF 2018 Opening Ceremony? "... the [ICANN EPDP] support team is figuring out sort of a drop dead date for putting a version – or the final report version in front of the GNSO Council ..."
UPDATE: Jan 29 chat transcript (pdf) and Jan 31 chat transcript (pdf). Observers may use Adobe Connect, or audiocast via browser / app. Links: Draft Final Report info, EPDP Initial Report (pdf) and public comments to the Initial Report; PCRT Public Comment Review Tool; GNSO Council EPDP page and updates; links to EPDP meeting transcripts and recordings are on the GNSO calendar. Other EPDP links: wiki; mail list; action items; Temp Spec; EPDP Charter (pdf); Data Elements Workbooks (pdf), packet (pdf) of small team agreements. ICANN Controllership Memo (pdf). Jan 22 EPDP meeting wiki page and Jan 24 EPDP meeting wiki page (with action items); Legal committee Jan 23, and Data Elements Jan 22 and Jan 24. Jan 22 chat (pdf): Milton Mueller (NCSG): (08:16) Will [Attorney] Ruth [Boardman] (Bird & Bird) be on these calls? Kurt Pritz: (08:17) @Milton - generally no but can be called in as required ... and we will refer questions that come out of each meeting to her. Email to EPDP Mail List Jan 23, 2019: "I am really mystified, having taken the time to examine the records and mailing list of the TSG-Access-RD which Benedict mentioned, that we were not briefed on the meetings, the group, and the questions they are settling, many of which depend on policy decisions. I am also mystified as to why this appointed group of technical experts has funding to their Washington meetings and to Kobe [ICANN64}, and our group does not have funding for Kobe. Further, it looks as if they need some legal advice. I recommend they consider adding Ruth [Boardman, Bird & Bird] as an independent outside counsel, and add a policy person to think up the questions to ask her." --Stephanie Perrin, EPDP member & NCSG Chair (links and emphasis added). Revised draft charter (pdf) of ICANN's TSG-Access-RD (Technical Study Group on Access to Non-Public Registration Data). GNSO Council Chat Transcript Jan 24, 2019 Rubens Kuhl (RySG): "TSG will be yet another dead body in the decades of failed WHOIS-related projects, like EWG." 25 January 2019 Letter from ICANN CEO Göran Marby to Willem Debeuckelaere, President, Belgium DPA, re: ICANN Contractual Compliance Data Processing Activities and the European Union's General Data Protection Regulation (GDPR). See 15 Jan. 2019 Letter from Willem Debeuckelaere to Göran Marby (pdf) excerpt: "In your letter of 9 August 2018, you indicate that ICANN has only a single regional office on EU territory, namely in Brussels." "The [ICANN Technical Study] group will base its work on the following assumptions ... 3. ICANN is the sole party that authorizes access to non-public registration data in the gTLD space." --TSG revised draft charter, supra. Editor's note: it appears ICANN org has a competing ongoing top-down policy-making and implementation process (TSG-Unified Access model) moving simultaneously in parallel to the GNSO's EPDP process. More info on Jan 22-24 EPDP meetings on last week's News Review. More than 95,000 complaints have been filed with EU Data Protection Authorities (DPAs) since the General Data Protection Regulation (GDPR) took effect May 25, 2018, the European Commission said Friday. Apple, Amazon, Netflix, Spotify, and YouTube, are among eight tech firms (pdf) named in a complaint filed in Austria by non-profit organization noyb (noyb.eu), based upon failure to comply with the European Union’s General Data Protection Regulation (GDPR). Google to appeal €50 million GDPR fine imposed by France's Data Protection Authority (DPA) CNIL (cnil.fr), which "observed two types of breaches of the GDPR"--violation of the obligations of transparency and information and violation of the obligation to have a legal basis for ads personalization processing. Ireland's Data Protection Commission (DPC) is "currently investigating Twitter’s compliance with its obligations under the GDPR to implement technical and organisational measures to ensure the safety and safeguarding of the personal data it processes. This investigation commenced in November 2018 following receipt of a number of breach notifications from the company since the introduction of the GDPR. The DPC has this week opened a new statutory inquiry into the latest data breach it received from Twitter on 8 January, 2019. This inquiry will examine a discreet issue relating to Twitter’s compliance with Article 33 of the GDPR"--dataprotection.ie. Businesses that invest in data privacy see benefits when they do experience a breach--a new Cisco study (pdf) of 3,200 security professionals in 18 countries found that preparing for the EU's General Data Protection Regulation (GDPR) lessened the impact of data breaches. Status: Panel Selection: IRP commenced on 26 November 2018; one panelist has been appointed; awaiting appointment of remaining two panelists. Materials: Written submissions, Declaration(s), and Scheduling Order(s) are here. Hearing(s): No hearings are currently scheduled. e. Implementation of the Procedure for Release of Two-Character Labels | icann.org. Documents also available on the Two-Character ASCII Labels information page. See also the 22 January 2019 Letter (pdf) from ICANN CEO Göran Marby to GAC Chair Manal Ismail. a. Expired domains do not help for rankings: "Google understands when domains change ownership so it won't necessarily rank for the queries it used to rank pre change of ownership. So if the sole purpose of buying a domain is to get search traffic from the old domain, I would suggest against doing so since there's no benefit." --Aaseesh from the Google Webmaster Trends Analysts team. b. EFF Client Responds to Ludicrous “Collusion” Trademark Threat--eff.org. c. Yes, domain names are covered by the USMCA (successor to NAFTA)--Lexology.com. "The situation appears to be a DNS (domain name system) corruption, one method for China to block websites through its intricate censoring system called the Great Firewall. When a user enters a domain name associated with a banned IP address, the Firewall will corrupt the connection to stop the page from loading."--techcrunch.com. UPDATE: according to a report in reuters.com, the Bing outage in China was due to a technical error, not censors' block. As of December, 2019, Bing only had a 2% share of China’s search market compared with 70% share for Baidu. The Chinese version of Bing had been the only major foreign search engine accessible from within China, and Microsoft had censored its search results in accordance with Chinese government policy. Google is blocked in China, but nevertheless still has about 90% global market share for internet search. Google lags behind in Russia, where homegrown competitor Yandex has 55% of the market due to superior Russian language search capabilities and willingness to comply with Russia's restrictive laws. See Why Is Google Struggling In Russia? Yandex | YouTube.com.